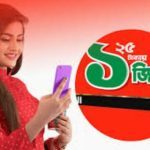 Bangladeshi most popular and one of the biggest Telecommunication company Robi has come to their valuable customers to activate their special Robi 3GB 41Tk Internet Offer. Now all Robi users will get to enjoy this special low price internet package with exciting validity. 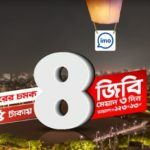 We all know that, Robi all times brings to their daily subscribers to enjoy this low price internet package offer. Now all users can activate this offer to follow some rules and conditions. To activate your 3GB internet only 41Tk (added all taxes) offer, just dial *123*041#. After dial this activation code all customers will enjoy this internet offer. After dial this code, you will get a confirmation SMS and will charge 41Tk (added all taxes). Customers will use this package in 24 hours for 2 days. To activate this 3GB Internet only 41Tk offer, all customers need to dial USSD Code *123*041# or recharge exact 41 Taka. To activate this offer customers not need to VAT + SD + SC with price. After dial this activation code or recharge this amount, customers will use this package under the 2GB 3G internet and 1GB 4G internet. 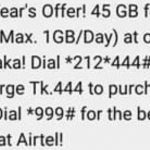 Validity to this 3GB 41TK offer for 2 days and customers use in 24 hours. 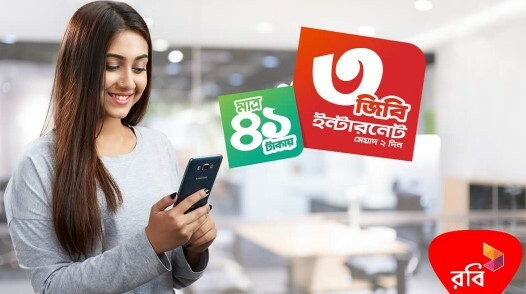 To check the remaining balance of Robi 3GB super internet offer at only 41 TK, just dial *8444*88#. Finally we hope that, all customers have got more instruction to activate this special Robi 3GB 41Tk Internet Offer. If you want to know more or faced any problem to activate this special offer, just comment the box. We will answer as soon as possible. Thanks to all for being here.